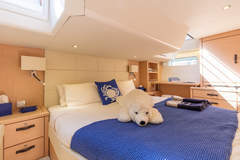 The yacht has 4 double cabins, all with private bath, air conditioning throughout the ship. 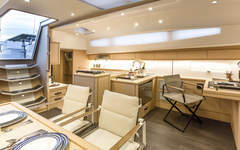 A large cockpit with plenty of space to eat, sunbathe and relax. 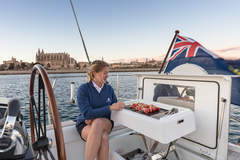 Your skipper and cook (who have a separate cabin) will make sure you make the most of your vacation. 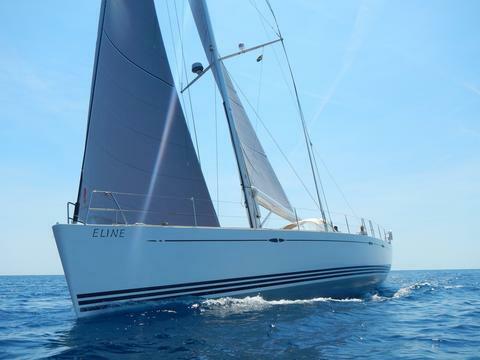 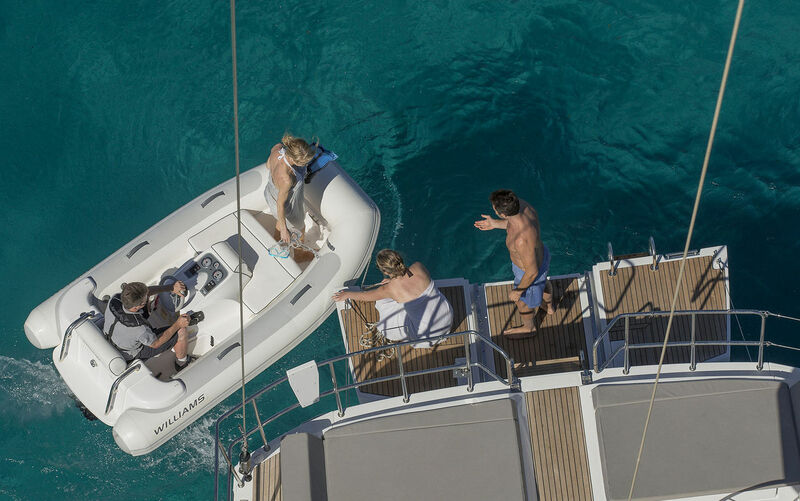 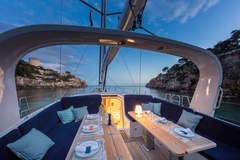 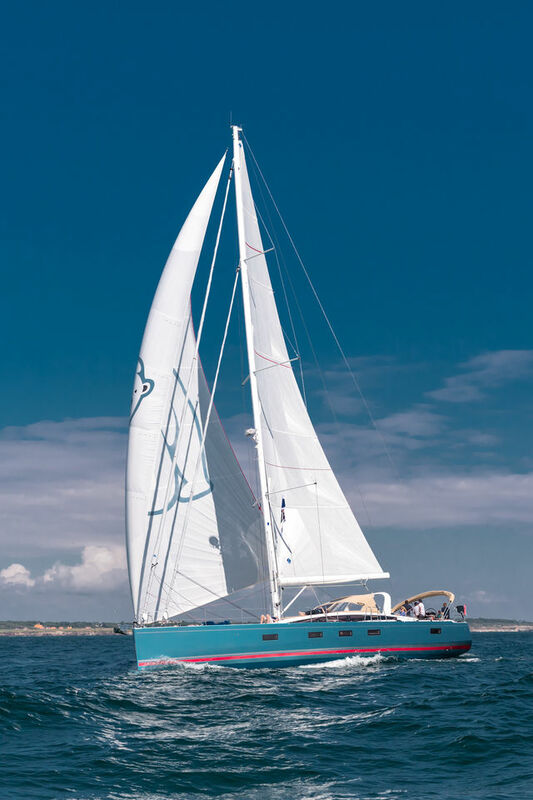 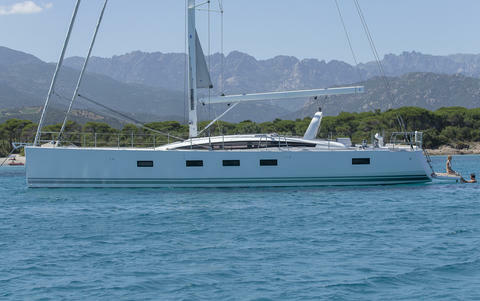 The Jeanneau is a stylish 65-foot yacht with the service of a boutique hotel. 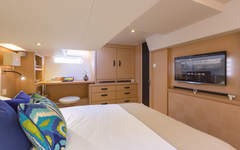 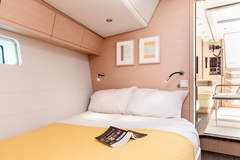 There are 4 ensuite double cabins for up to 8 guests (plus cots if required) and a large open deck with plenty of sunbathing and relaxing space.